You’ve understood the theory and the concepts behind HIT’s practical application, now you will need to learn the exercises that will enable you to flesh out real routines. Featuring individual video demonstrations of HITuni approved Dynamic exercises, including: 25 machine exercises, 24 free weight exercises and 17 bodyweight exercises. In addition to the videos there are photos with explanatory text for the HITuni approved Static exercises, including: 19 Timed Static Contraction exercises and 15 Adapted Static Hold exercises. 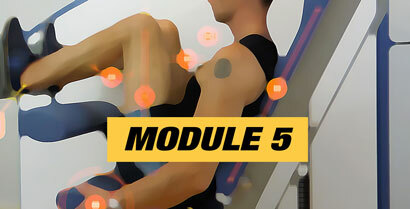 All the exercises are presented in 8 convenient bodypart sections, and further categorized by equipment choice, for easy reference and learning. No matter what equipment you’ll be training your clients with; machines, free weights or bodyweight: you’ll be able to exercise them effectively. 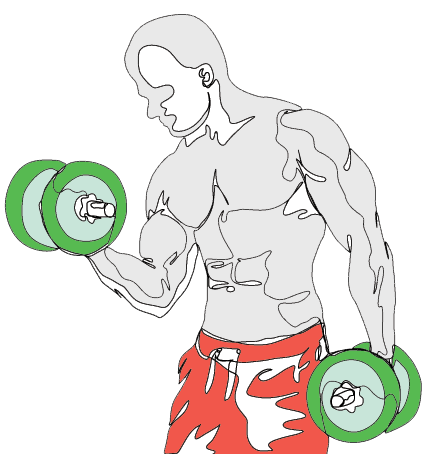 In this module you will also benefit from our encyclopedic Routine Directory featuring over 120 High Intensity Training routines, equal attention is given to routines for machines, routines for free weights and routines for bodyweight. There are introductory and beginner routines, intermediate routines, advanced routines, body part specialization routines and even split routines. When looking for workout design inspiration or a suitable “off-the-peg” routine, this is your first port of call.